Brazing is a process for joining copper, brass, steel or any two metals with a filler material that melts, flows, and wets the metals’ surfaces at a temperature that is lower than the melting temperature of the two metals. 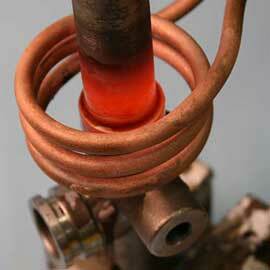 For example, the temperature for brazing brass is lower than many other materials, so it is often used as filler. Protection from oxidation of the metal surface and filler material during the joining process is achieved using a covering gas or a flux material. Brazing with induction is ideal for your heating process, combining the precision, control, economics and safety inherent in the technology. Induction is effective in brazing copper, brazing steel, brazing brass, brazing aluminum and many other metal combinations. 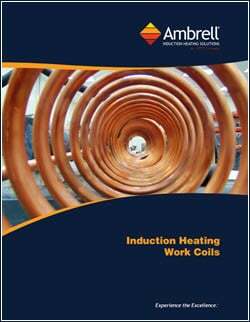 Ambrell has more than 15,000 systems installed in over 50 countries, and many of them are induction brazing equipment installations. It’s our most common application that is used daily, worldwide, in many different industries. 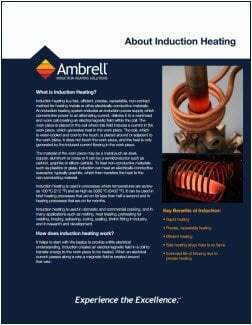 Click to read how induction brazing can improve the efficiency, effectiveness and safety of your heating process. Select from our libraries of materials to help you better understand the benefits brazing with induction heating can bring to your process.